It’s easy to hang. One of our beadboard wallpaper is pre-pasted for easy installation. 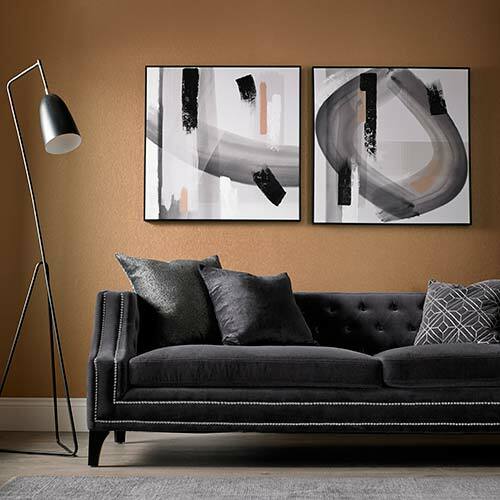 It can go right over existing wall coverings and can be hung without removing baseboards or anything like that—just go right ahead and install. It’s paintable to match any décor. A fresh coat of paint also really enhances the paper’s textural effects. 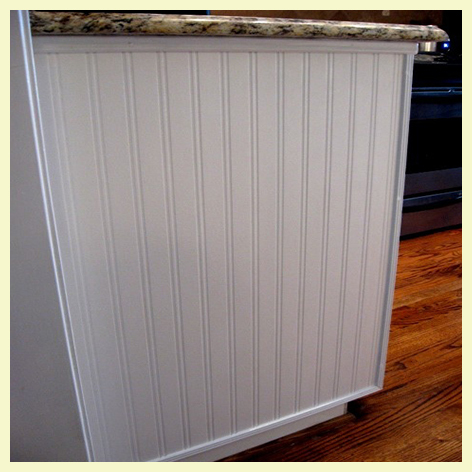 Our customers often observe that it looks just like real beadboard once you get a coat of paint on it. Great texture. Our beadboard wallpaper is designed with a subtle, textured wood grain effect for a particularly authentic, architectural feel. Power tools not required. More comfortable with scissors than a circular saw? Keep those power tools in the garage because you certainly don’t need to be a carpentry expert to hang this paper. Fantastic value. At just $25/roll, there’s not a more cost-effective way to transform a room, hallway or any other area with less than perfect walls. Tired of staring up at cracked plaster, drab acoustic tiles or a popcorn ceiling? Why not cover it up and achieve a classic look at the same time? 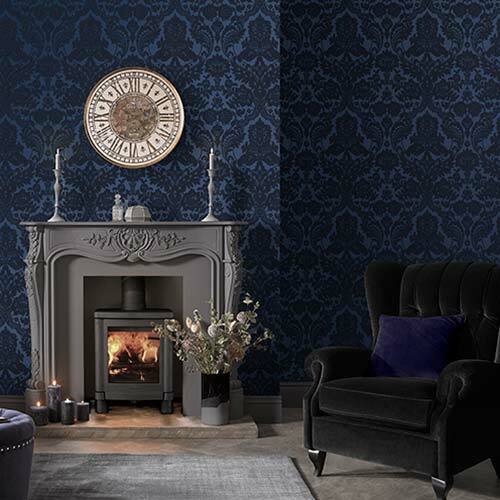 While a regular beadboard ceiling can be difficult to install and is vulnerable to water damage, beadboard wallpaper gives you the same polished look without the hassle and cost. 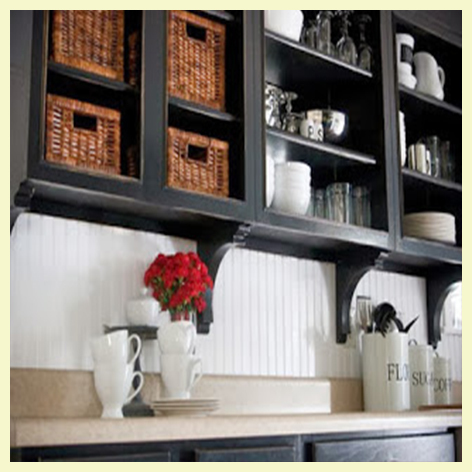 Refresh your kitchen without installing all new cabinetry. 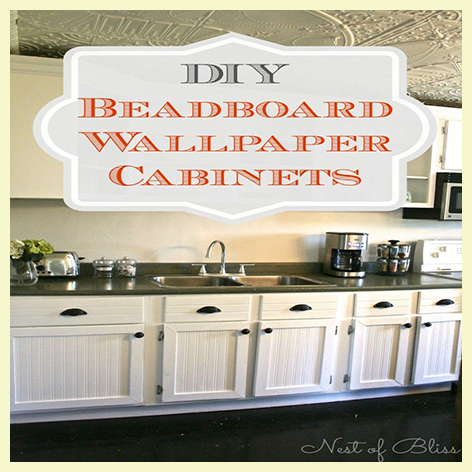 Simply apply beadboard wallpaper to recessed cabinet doors and drawers for added brightness, depth and texture. 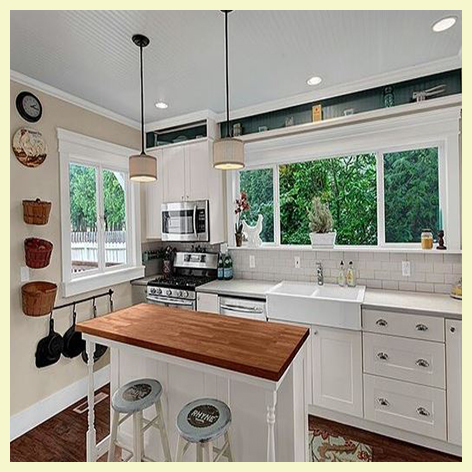 When it comes to cabinets, beadboard wallpaper has advantages over actual beadboard, as you don’t have to worry about the wood extending out from the cabinets (which can necessitate the addition of bigger trim to conceal the edges). 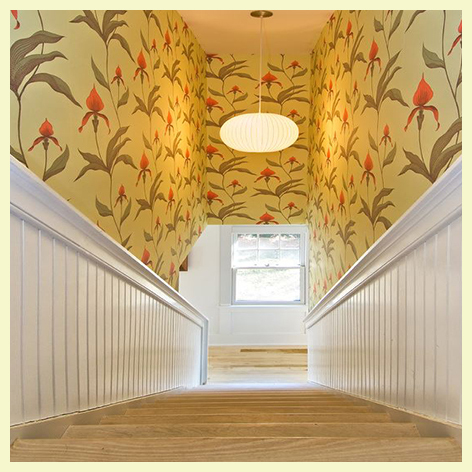 Beadboard wallpaper allows you to achieve the same look without adding unnecessary bulk or depth. Thinking of replacing an old tile backsplash? For a relatively small area, backsplashes can be costly, setting you back anywhere from a few hundred to a few thousand dollars depending on the size of the area and materials. A $25 roll of beadboard wallpaper is the perfect cost-effective solution. We would recommend sealing the paper by paint over it using a waterproof paint. 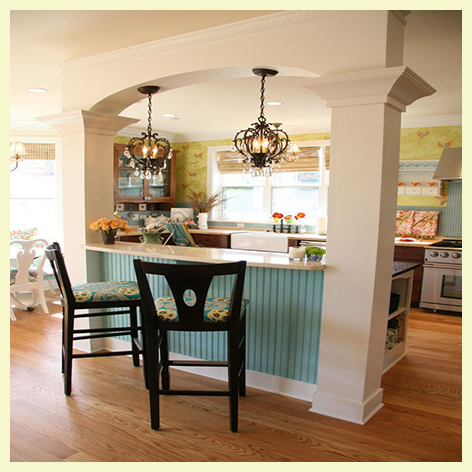 Papering beneath your breakfast bar is a great way to add color and texture to an often-overlooked area. 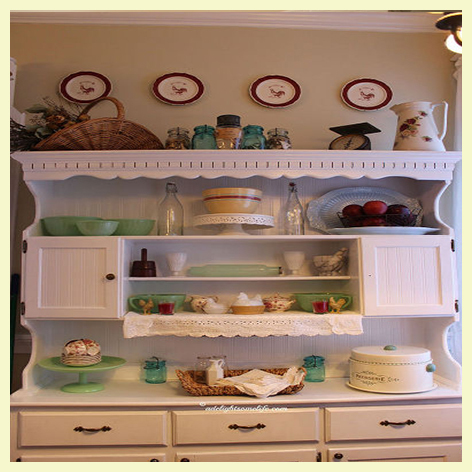 Beadboard wallpaper is ideal for small, recessed spaces such as the back of a hutch or a china cabinet. The beadboard effect is extra convincing here, and the added texture draws the eye to whatever else you might display, from dishes to glassware to books. 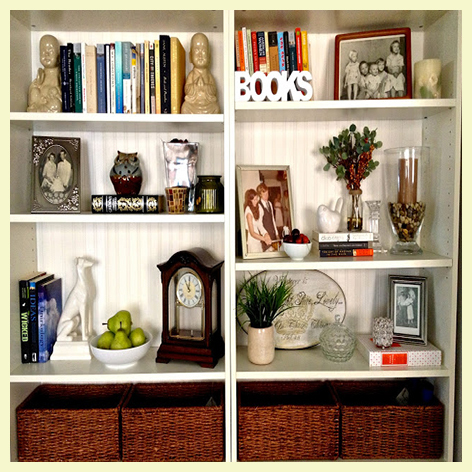 Add custom character to an Ikea Billy bookcase by adding beadboard “paneling” to the side or back, transforming a generic piece into a one-of-a-kind one without the cost. 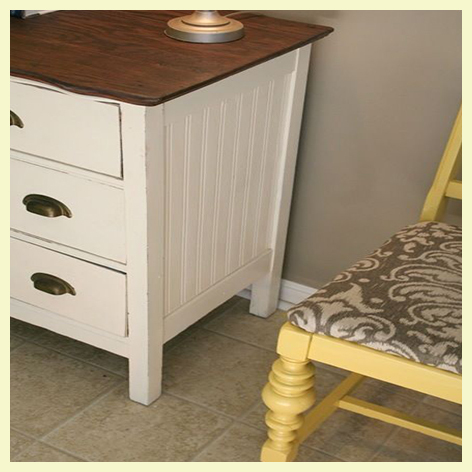 Here’s another way to add textured character to old furniture while covering up unsightly marks and scratches. Papering the ends of your kitchen counters is another easy way to add vibrancy to an area that is often left blank. Beadboard wallpaper really shines in confined areas such as bathrooms and powder rooms. For bathroom walls, we suggest using a chair rail for enhanced architectural effect and color contrast. You might even consider adding a swath along the side of the bathtub, provided you can create a buffer between the tub and the outer surface. A small amount of papering here can give a contractor-grade bathtub a designer look. So many possibilities here. 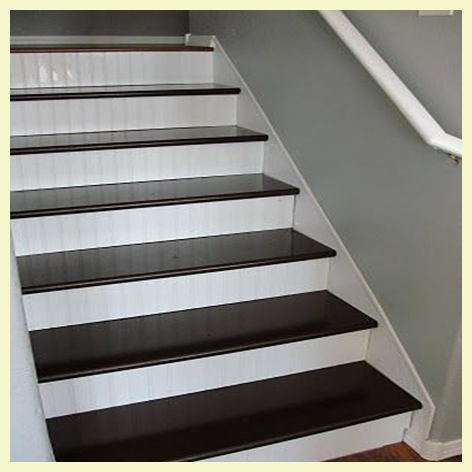 You can divide the stairway horizontally with beadboard wallpaper and an extra wide chair rail, or simply reface the risers. 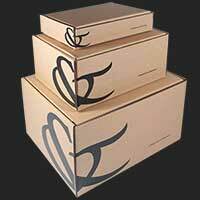 The latter offers numerous color and design opportunities. Would you consider painting the treads?